The Snowcake soap seems to have been around for forever! Just like the Snow Fairy shower gel this is a product that has re appeared every Christmas. 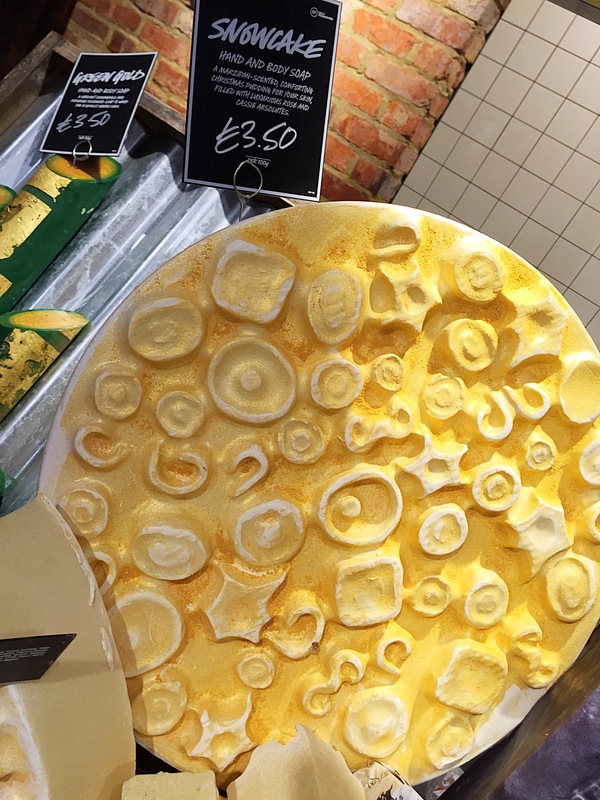 The Snowcake soap has a very Christmassy design. 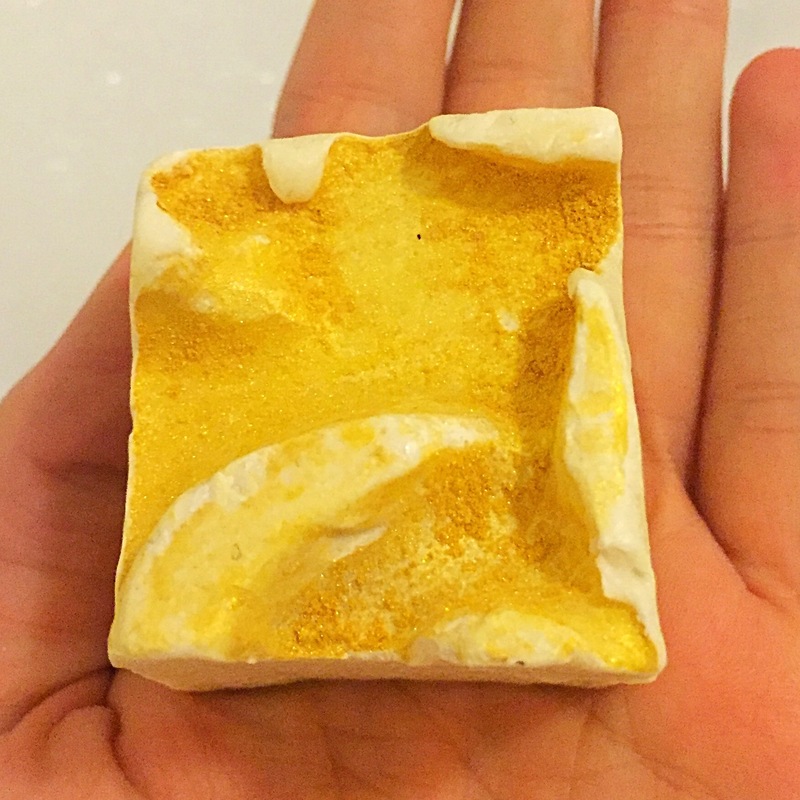 Predominantly creamy white in colour this soap is then dusted with gold, giving it a very elegant feel. To look at this soap it is stunning and part of me wanted a large block to just pop on a shelf in my house. Now when it came to writing this review I was a little unsure of how I was going to do it, as its safe to say I can’t stand the smell of marzipan and the Snowcake soap has a very sweet yet warm marzipan scent. 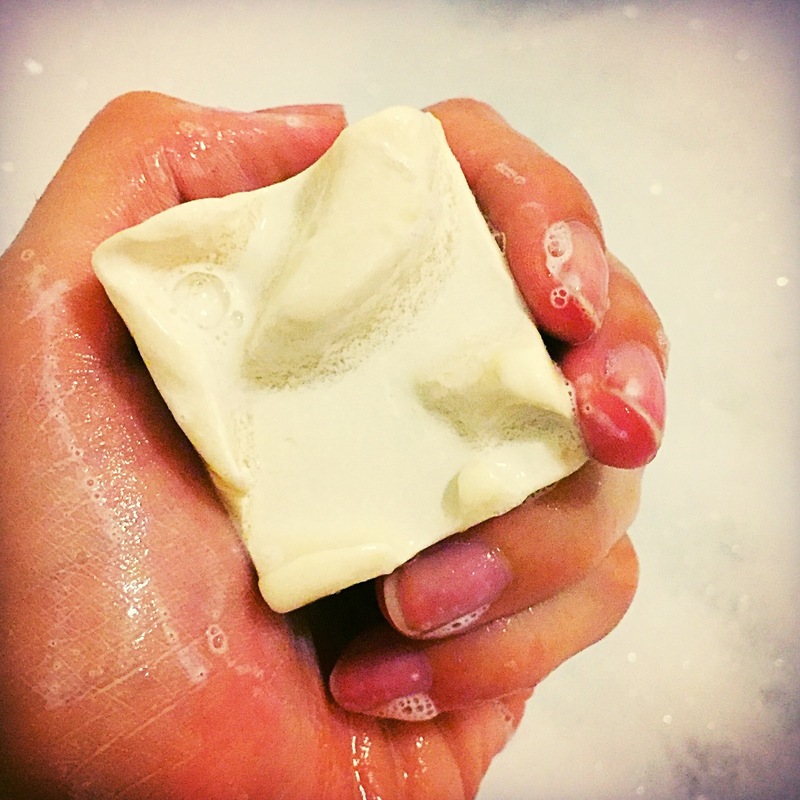 My partner however absolutly loved this soap so I decided it would be a little fairer to use his views and opinion for this post rather than my own seeing as I’ve never used this soap. Danny (my partner) words on this soap: is this cake? It smells like cake!! I want to lick it. This is the most amazing soap I’ve ever used, it so good at getting all the dirt of my hands which usually takes ages to shift and it smells amazing. Yes he actually did ask me if he could lick the soap!! I also did notice that this soap left its marzipan scent on his skin for quite some time after he used it. The small 100g slice we had also latest Danny ages which was pretty impressive for a soap as they can dissolve quite quickly. Overall although I personally didn’t like this soap Danny loved it and said he hopes its coming out again this year so I can buy him a larger slice. INGREDIENTS: Water, Propylene Glycol, Rapeseed Oil and Coconut Oil, Perfume, Sodium Stearate, Sodium Lauryl Sulfate, Sodium Hydroxide, Titanium Dioxide, Benzoin Resinoid, Rose Absolute, Cassie Absolute, Sodium Chloride, Glycerine, EDTA, Tetrasodium Etidronate, Benzyl Benzoate, Golden Lustre.